Discussion in 'Shooter' started by Press Release, Aug 31, 2018. Fill in your personal details and send them out when you are done. After the daily whitelist is opened, return to the registration page and click "View Registration Results" to know if you are eligible for this test. The pilot test time is: 9/1 (six) 12:00 ~ 9/6 (four) 23:59. In order to maintain the best connection quality, the CB activity registration system was randomly selected. Registration is now open. The official will open the first wave of test lists at 15:00 on August 31 (Fri) and the list will be added on the day of opening from 10:00 on September 1st (Sixth) to September 5th (three). Registered players can click on [View Registration Results] to find out if they are eligible for this test. This test is limited to users in Taiwan, Hong Kong and Macao. After qualifying, open GPC and change the regional selection to Taiwan, Hong Kong and Macao, you can see the ROE unlimited game experience entrance. You can enjoy your chance of enrollment once you register, and you will not be required to register multiple times. The list that has been opened will continue until the end of the test. For details of the format of the competition that is open during the test, please see the official announcement. ROE Unlimited Law is about to start this Pioneer Test on September 1st (Sixth). Since this test adopts a random limited lottery system, the survivors who want to experience the first experience please go to [ Events ] to register and be patient. Waiting for the registration result of this Pioneer test. The first wave of whitelists will be announced: August 31 , 2018 (Fri) 15:00 , open 15,000 group accounts. Daily whitelist announcement time: September 1st , 2018 (six) ~ September 5th , 2018 (3), 10:00 daily , open 5,000 groups of accounts. Survivors can go to the "Check Registration Results" on the registration page to know if the registration is successful. Maintenance during the test period is expected to be maintained from 00:00 am to 10:00 am the following day. Any changes will be notified in the latest announcement. This Pioneer test is limited to users in Taiwan, Hong Kong and Macao. 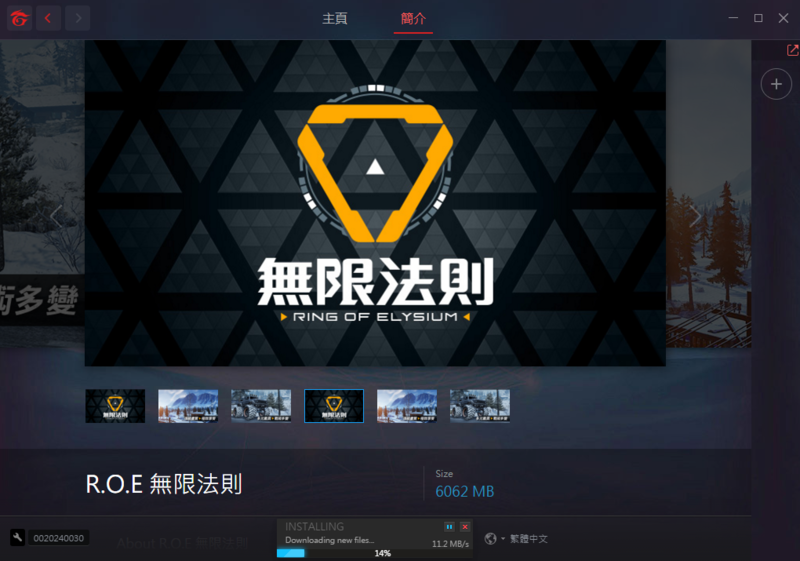 After obtaining the test qualification, the GPC will be used to adjust the area to Taiwan, Hong Kong and Macao to download and play games through the ROE Unlimited Rules. You can be eligible for enrollment once you register, and you do not need to repeat the registration. The opened whitelist will continue until the end of the test. The various measures and regulations of this activity are subject to the announcement of the event website and the official description of the company. The company has the right to retain, change, modify, or withdraw, cancel the award and send the event at any time and in the event, if it is due to force majeure. This activity will have one or all of the rights to suspend, postpone or cancel. If there are other unfinished matters, the company has the right to supplement or amend it at any time, and the latest announcement is the main one. If you encounter any game related problems during the test, please feel free to report through [Customer Service Center]. This Pioneer test is a file deletion test. Personal game and character information will not be retained after the event. According to the Personal Data Protection Act, the personal data collected in this activity is only used for the qualification confirmation, the lucky draw, the contact notice of the event and the purpose of the activity, and the personal data of the participants is protected. This test only opens the third person mode, and the first person mode is not open for the experience.